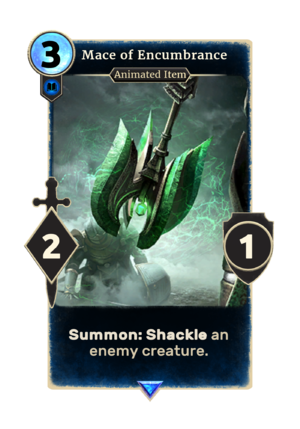 Mace of Encumbrance is a rare Intelligence creature card. The card is unobtainable, but appears in Garden of Swords. This page was last modified on 23 February 2019, at 23:17.